The 'Makeshift Love' hitmakers are making their comeback with their sixth studio album later this year - the follow-up to 2010's 'Cardiology' - and have revealed their collaboration with the 'Mountains' rocker which they are very excited for their fans to hear. 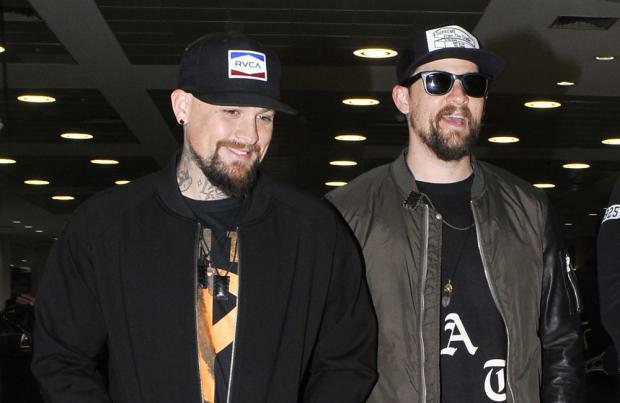 Good Charlotte vocalist Joel Madden revealed: "This needed to be more than just a throwback, but it pulls in all our favourite parts of all the records we've made from the high-energy pop-punk stuff to straight-up pop. It's got the heaviest song we've ever done, called 'War', and we even co-wrote a song on their with Simon Neil from Biffy Clyro." Good Charlotte - which also includes Joel's twin brother Benji Madden, Billy Martin, Paul Thomas and Dean Butterworth - feel like a completely new band and hope this new record will show they are a "positive force" on the music scene. Benji told Rock Sound magazine: "It feels brand new again. I want this band to live like it did in the beginning of our career, before some of the love got beaten out of us. This should be a destination for the misfits who don't have anywhere else to go, something that can encourage other artists to collaborate and look out for each other. We want to be a positive force in the industry." Good Charlotte's new album will be released this summer.